Hot new toy alert! Your kids will be begging for these tweeting Little Live Pets that sing, chirp and actually record your own message that they can they tweet and repeat back to you. Brilliant! 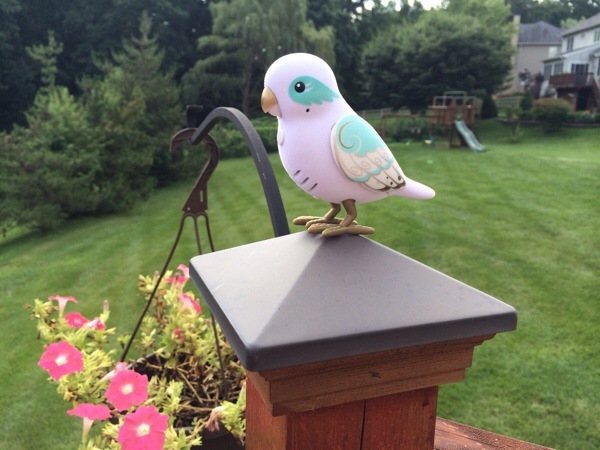 Check out our Little Live Pets Birds Video Review to see these birds in action. With the simple push of a button you can say a phrase under 10 seconds long and your bird will record it. Push the button again, and your birdie will repeat it. Super fun for the kids to hear their bird talk back to them! These single chirping birds sell for $9.99 and varieties are also available to buy in small cages. 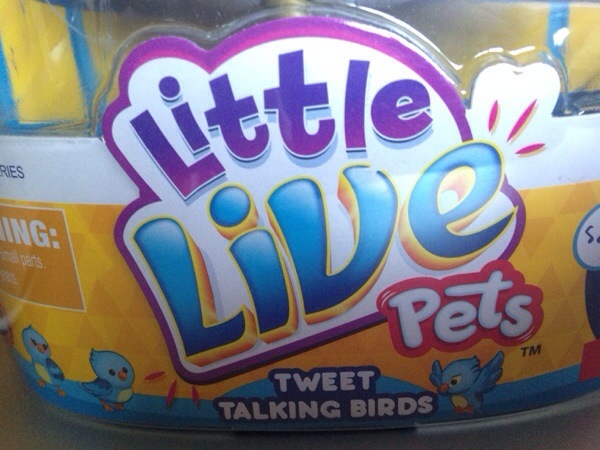 Hitting stores this August, Little Live Pets are sure to be a hit for the kids. Kenzie and Kyle LOVE LOVE LOVE their Little Live Pet bird. The birds make 30 different sounds – tweets, chirps, and even tweeting along to the tune of popular nursery rhymes like Yankee Doodle, Bingo and more! Note: Thanks to Moose Toys for sending us a sample to facilitate our video review. As always, all thoughts and opinions are our own. I read this paragraph fully on the topic of the difference of hottest and earlier technologies, it’s awesome article. Thank you, I’ve just been looking for information about this topic for ages and yours is the best I have discovered till now.